Solvency requirements are based on the idea that risk can be accepted if enough capital is present. The determination of this minimum level of capital depends on the way to consider and measure the underlying risk. Apart from the kind of risk measure used, an important factor is the way to integrate time in the process. This topic is particularly important for long term liabilities such as life insurance or pension benefits. 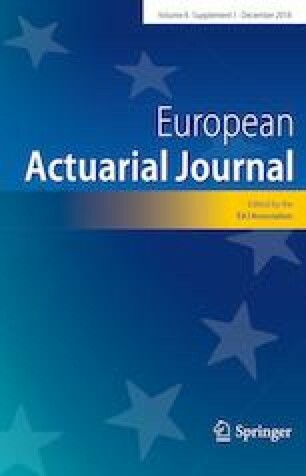 In this paper we study the market risk of a life insurer offering a fixed guaranteed rate on a certain time horizon and investing the premium in a risky fund. We develop and compare various risk measurements based either on a single point analysis or on a continuous time test. Dynamic risk measures are also considered. The revised version of the article can be found under doi: 10.1007/s13385-011-0042-0 and is published in Eur. Actuar. J. (2011) 1:199–214.